Police arrest man in connection to a kidnapping in Sebastian, Florida. SEBASTIAN – Police have arrested one man and are seeking two others who allegedly kidnapped a man, beat him, and then called him an anti-gay slur, reports show. 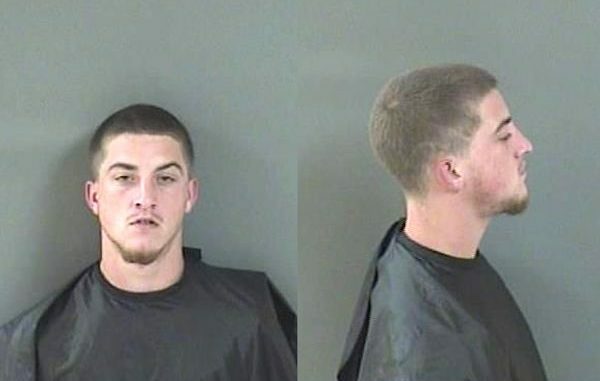 Matthew Evans, 20, of the 1400 block of 14th Court in Vero Beach, was charged with Felony Kidnapping, Felony Attempted Robbery, Possession of Amphetamines, Marijuana Possession, and Possession of Alprazolam. The victim told Sebastian Police that he arranged to meet Evans and another man on Nov. 18 at approximately 11 p.m. for a sexual encounter at the Sebastian River Landing clubhouse. The clubhouse is located near Sebastian Boulevard and 90th Avenue. The victim said he was to pay $50 to Evans for the encounter, which was planned on Instagram. When the victim arrived, he got into a vehicle, and that’s when Evans placed him in a chokehold while calling him an anti-gay slur. Another man, the driver, then accelerated out of the community, according to the affidavit. The two men and the victim drove to San Sebastian Park where another man with a handgun was waiting, reports show. Evans and the two other men demanded the $50 from the victim and punched him in the face until he “blacked out.” The victim’s nose was broken, and his face was swollen after the incident. The victim’s pants, cell phone, and money were missing. He walked home and called law enforcement. The victim’s pants were found along Roseland Road, according to the report. The Indian River County Sheriff’s Office has issued arrest warrants for the driver and the man with the gun. Evans is still in the Indian River County Jail without bond.